The Hemp Industries Association (HIA) is a non-profit trade association representing businesses, farmers, researchers and investors working with industrial hemp. We are at the forefront of the drive for fair and equal treatment of industrial hemp. 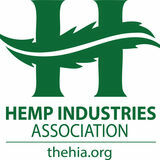 Since 1994, the HIA has been dedicated to education, industry development, and the accelerated expansion of hemp world market supply and demand.